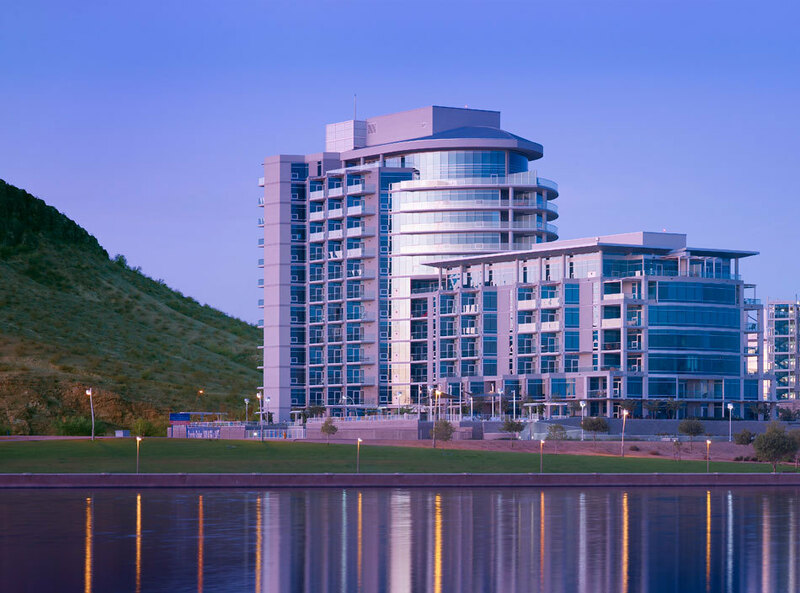 Hayden Ferry Lakeside | Cary Kopczynski & Company, Inc.
Hayden Ferry Lakeside, is one of the first high-rise luxury condominium projects in Tempe, Arizona. 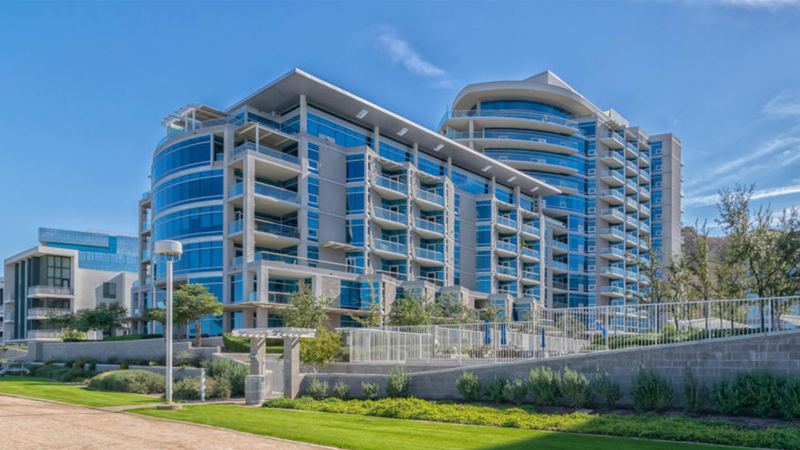 It incorporates a state-of-the-art structural system which contributed to major construction cost savings. Shear walls are commonly used for seismic and wind resistance in buildings of this type. They have the disadvantage, however, of concentrating lateral overturning forces at the foundation. Since the soft Hayden Ferry Lakeside site required pile support, shear walls would call for numerous additional pile supports. To solve this problem, CKC used a unique lateral load carrying system that incorporates the entire building frame. This eliminated all shear walls and resulted in substantial cost savings in the foundations and building superstructure.